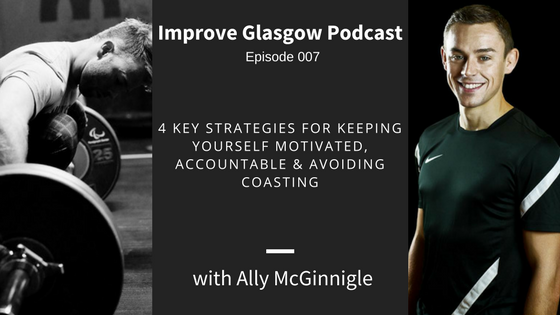 In this episode Ross & Ally sit down and talk about motivation, accountability and the concept of ‘coasting’. We both agree that ‘spinning the wheels’ is okay for a while, but that most people don’t join a gym or continue training just to ‘tick a box’. We reckon that people often end up in a bad habit of showing up and not putting their all in purely because of a lack of motivation, accountability or concentration. Hopefully, this episode serves as a practical tool you can use when motivation levels drop or when you feel like you’re not getting as much from your training as you’d like.